How often do we engage in a game or activity that helps us and/or our kids to strengthen the neurons in our brains that are responsible for empathy and compassion? 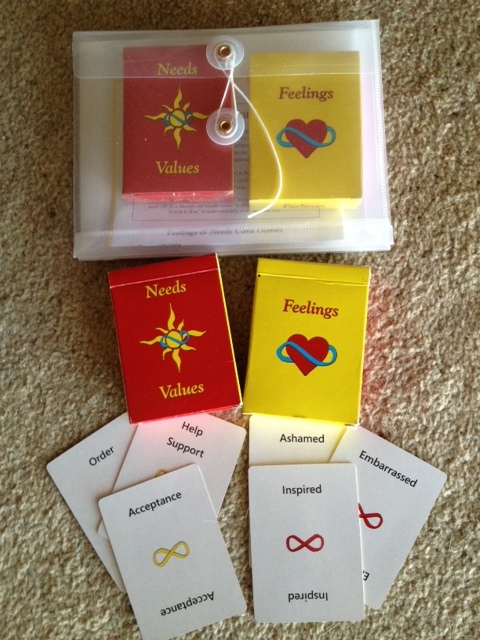 Many parents have asked me over the past few months how to get hold of the feelings and needs cards that I use in the Mindful Kids / Mindful Parenting Courses. I have taken delivery of several sets of kids cards and adults cards. 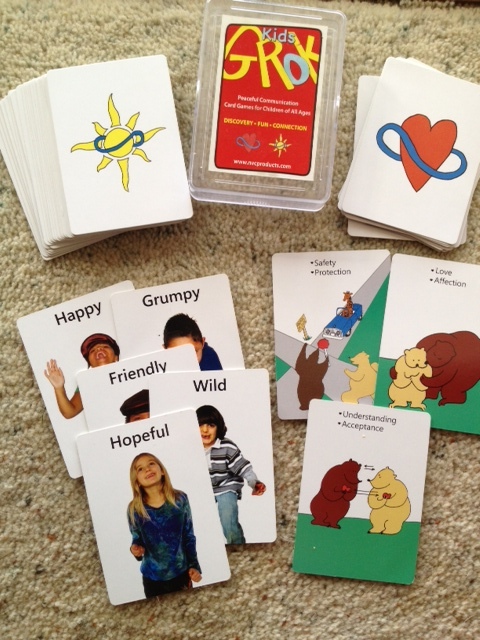 These cards come with instructions for games that you can play with your kids, using the cards to develop literacy around naming emotions and connecting emotions to our human needs. This process of connecting our emotions to our human needs is a beautiful way to grow compassion for what goes on in yourself and in others (empathy). The adults cards are a great tool for offering yourself some empathy: sit down and go through the cards to identify what you’re feeling (there can be much relief in ‘naming’ your feelings this way). Then go through the needs cards and connect with what it is that you are really longing for (connecting with the universality of your needs is an important part of self-compassion). Sitting with a clearer picture of your feelings and needs can be soothing, a relief, illuminating, sad, sweet, and can give you clarity around how to move forward, if that’s what is called for. The kids cards are $35 and the adults are $45 (the adults set is bigger – one full pack each of feelings cards and needs cards). I can post cards within Australia for $10.